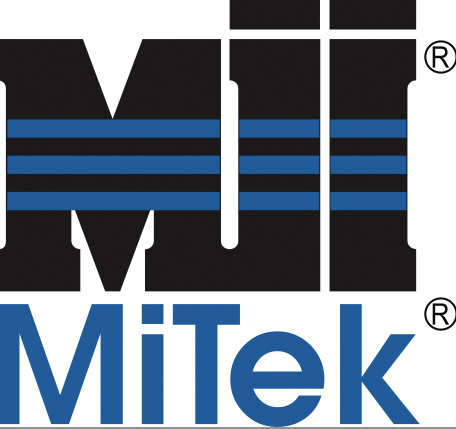 CHESTERFIELD, Mo.--(BUSINESS WIRE)--MiTek USA, a leading manufacturer of code-approved structural connectors, developer of software tools for structural design and product selection, and distributor of anchors, epoxy, tools, and safety equipment, today announced the national availability of its new FWAN-TZ Foundation Wall Anchor. Offered as part of MiTek’s USP Structural Connectors product brand, the FWAN-TZ Foundation Wall Anchor is designed to transfer in-plane and out-of-plane foundation wall loads through the joist or blocking into the floor diaphragm. The unique design allows for installations that straddle the joist or blocking, which eliminates bending stresses in the rim board that resulted from offset installations. The FWAN-TZ Foundation Anchor is made of 16-gauge steel, with G-185 galvanizing. The FWAN-TZ offers two methods of installation: 1) a Centered Installation, which is compatible with joist or blocking up to 3-1/2 inches wide and offers direct load transfer of out-of-plane loads into the floor framing. 2) an Offset Installation, where the anchor is installed in the space between the joists or blocking, where out-of-plane loads are transferred through the rim board into the floor framing. USP Structural Connectors, a product brand of MiTek, is a code-approved line of engineered structural connectors, anchors, and epoxy for the residential, commercial construction, and DIY sectors. USP offers more than 4,000 SKUs backed by professional engineering, technical support, innovative software solutions, and a North American sales team. USP has a long-standing history of providing its customers with a competitive advantage. Learn more: www.USPConnectors.com. MiTek Industries is a diversified global supplier of engineered products, software, and equipment to the residential, commercial, and industrial, construction sectors. MiTek Industries’ passion for its customers’ success and its associates’ well being is the Company’s hallmark. A Berkshire Hathaway company (NYSE: BRK-A, NYSE: BRK-B) since 2001, the Company has operations in more than 40 countries on six continents. Learn more: www.MiTek-us.com/ and www.Mii.com. MiTek Releases New FWAN-TZ Foundation Anchor. FWAN-TZ Transfers In-plane and Out-of-plane Foundation Wall Loads Into the Floor Diaphragm.